When presenting myself, I told something about coffee-snobbyism. This means, I am slowly but mostly steadily moving from quantity to quality, also in this topic. And now, when talking about coffee, yes, I am meaning that hipstery-Berlin-third-wave-black-coffee-prepared-with-dripping-just-because-we-have-nothing-else-to-do-on-weekends-thing, not any Starbucks stuff or even fancy Latte art. My relationship to coffee has also changed: Nowadays I get up from the bed with just the hope of getting a mug of green tea and I can forget the whole coffee topic until I sit at my desk in the office and feel like something black is missing. But honestly, at that point I will still accept just anything coffee-like available. 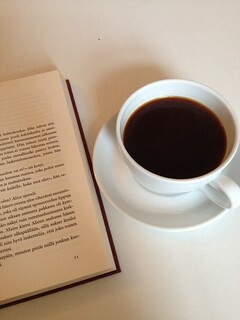 But, during weekends I am very much willing to invest some time (and even some money) for quality coffee. There are many ways to prepare a good cup of coffee, even without a large set of fancy equipments. For that, let’s this time go through some basics I have recently learned. These have helped me to create the best possible cup of coffee every single time I am making one. 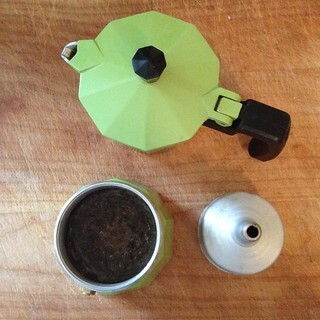 My this morning’s choice for coffee making method was the classic Moka pot. My household has two different ones, a tiny tiny one and four-cup (meaning one for my morning) one which I am more a fan of. Important: Always fresh! In the mornings I let it rinse for a while, as I am living in the top floor and want to have fresh water for fresh coffee. 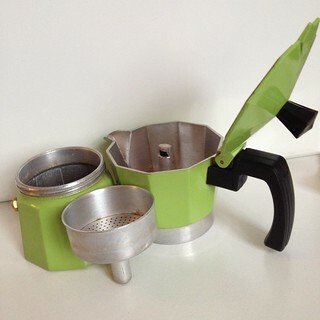 The magic trick also with moka pot: Boil the water right before using. This would of course be worth an own post. First of all: As my former colleague once told me, coffee is an “enjoyment, luxury product”, so there is no point to buy the cheapest sh*t to home. I totally agree, especially now when I am in the modest consumption mode. I am also very lucky to live in the middle of Berlin’s superb third way coffee district, meaning, that I have for example legendary The Barn basically next door. 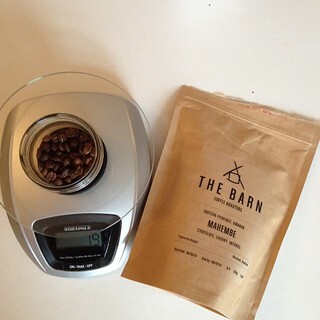 Currently I am having for my weekend coffee their Mahembe beans from Rwanda’s Eastern province. They are described to have chocolate and cherry flavour, and I can just agree. Normally I am a big fan of more fruity flavours, but for short coffees and winter I love this kind of intense taste. To be quit hones, as these are roasted 6.10.2014 and have use by date of 6.12.2014 I felt almost like a criminal when trinking these still end of January. So, the beans are really beans. Grinding takes some time, but especially if you have the same beans for a while, the whole beans stay somehow fresher and grinding yourself gives you more opportunity with different kind of coffee trials. 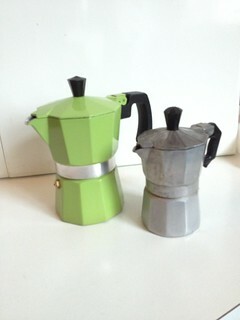 In general, for moka pot you want to have very very fine grinded coffee. 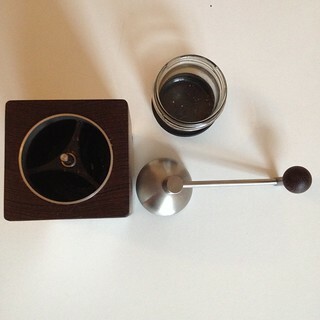 My current grinder is Zassenhaus, but if I would buy a grinder now, I would get this Hario grinder, as it is due to its round shape much more convenient to hold while grinding. And then we go! Water, beans, and grinder at hand’s length? I hope so! One more important thing: As we were talking about rather expensive beans, I hope you have a scale! Why? We don’t wanna waste the beans! A general rule is about 15-17 g for a 4-cup moka pot, but I have concluded 19 grams is just the right amount for mine. Ready! Then common mistakes/features which make the result a bit unconsistent: Beans not fine enought, no pre-heating water before using for the moka pot (we could argue on this, but regarding my experiments it really enhances the result), not scaling the amount of beans, not pre-heating the cup. Internet is actually full of amazing and entertaining coffee stuff – I recommend to google. This morning’s cup was accompanied by the amazing book from Paola Giordano, La Solitudine dei Numeri Pirmi (The Solitude of Prime Numbers). 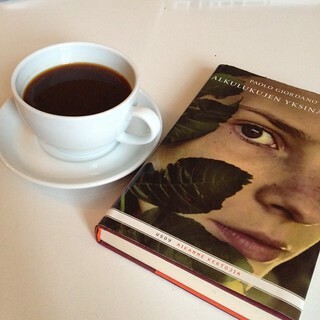 If you want to read more about it (in Finnish), feel free to check my literature blog.